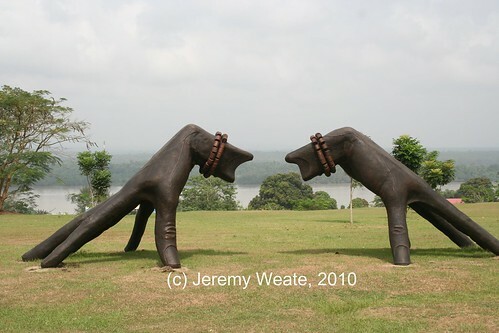 Sculpture overlooking the Cross River, Calabar, Dec 2006, originally uploaded by nobodaddy69. That is NOT the Cross River, that river in the picture is called the Calabar River. The Calabar River runs into the Cross River farther downstream, the Cross River in turn runs into the Gulf of Guinea/Atlantic Ocean.